Myer has beefed up its marketing and omni-channel smarts in the boardroom by appointing M&C Saatchi’s former managing director, Dave Whittle, as a new non-executive director. 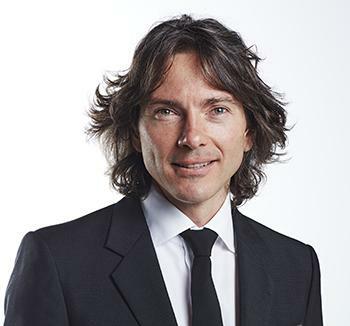 Whittle spent 10 years with the M&C Saatchi global advertising group both locally and international, and was managing director of Australia for three years up to mid-2013. Clients included the Commonwealth Bank, Westfield, ANZ, Qantas and Google. Prior to that, he was one of the founding employees for a marketing services group that built digital service and software businesses. Two of these were acquired internationally by Oracle and Netratings. In a statement, Myer chairman, Paul McClintock AO, highlighted Whittle’s digital and omni-channel retail experience in marketing and advertising as a boost for the department store’s board. Whittle noted Myer’s iconic brand status and said it was a good time to be joining the group. “I’m passionate about innovation, so it’s perfect timing for me to bring my skills and experience to the team as Myer embarks on its five-year transformation program,” he said. Whittle also sits on the boards of the Melbourne Festival, Lexer and the GWS Giants Foundation. Myer announced its $600 million ‘new Myer’ strategy in September, outlining four key pillars it hopes will help turn the ailing business around. These are: Customer-led offers, wonderful experiences, omni-channel shopping and a productivity step change. The plans will see the retailer invest $200m into omni-channel capabilities. Back in March, Myer’s then-new CEO, Richard Umbers, admitted the retailer was struggling to meet modern, omni-channel expectations after posting a 23 per cent drop in net profits for the first half of the financial year. To help propel its omni-channel customer experiences, the company appointed Mark Cripsey as its first chief digital and data officer in August. The new board appointment was announced at the same time as Myer’s annual general meeting. During his presentation, McClintock acknowledged Myer’s subdued share price and ongoing challenges and quoted Charles Dickens’ Tale of Two Cities to sum up the previous 12 months: ‘It was the best of times, it was the worst of times’. 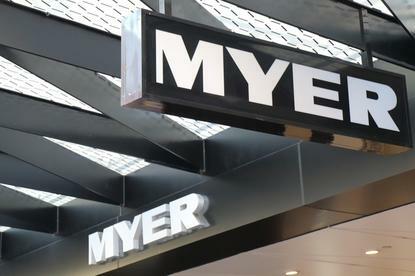 Myer reported a 21.3 per cent drop in net profits to $77.5m in its full-year report, off the back of total sales of $3.2bn. “As it happened, the world changed faster than our original strategy envisaged, leading to a growing cost base and flat revenue,” McClintock told investors. “Our cost line was growing faster than our sales, and for repeated years, our profit was moving in the wrong direction. When we completed our deep dive on the impact of these changes to our customer base, we found a telling picture of declining relevance to some of our most important customers.